Would you make a good fashion designer? Take our career test to find out how you match with this and over 800 other careers. What is the workplace of a Fashion Designer like? What is prêt-a-porter fashion design? What is haute couture fashion design? What is mass market fashion design? Fashion designers hold a special place in our world. Their talent and vision play a big role in how people look, and also contribute to the cultural and social environment. They love to study fashion trends, sketch designs, select materials, and have a part in all the production aspects of their designs. They contribute to the creation of millions, if not billions of pieces of clothing and accessories purchased by consumers on a yearly basis. Fashion designers create women's, men's and children's apparel. This might include sportswear, maternity wear, outerwear, underwear, formalwear, eyewear and footwear. There are also accessory designers who design belts, scarves, hats, handbags and hosiery. There are fashion designers at different levels of the fashion industry, from well-known couturiers, to unknown fashion designers working for ready-to-wear houses, to fashion stylists who might make only small changes in existing designs. Fashion designers promote themselves with the help of marketing and advertising. Some designers market their fashions through runway shows, as well as through their own retail stores. Some also lend their name to other licensed products in order to expand their brand identity. In fact, many celebrity fashion designers actually do very little designing of the collections that bear their name. Fashion designers are now beginning to use new technologies such as body-scanning for a better custom fit, or seamless knitting technologies that can produce clothing with just a simple push of a button. Similar to how the sewing machine changed the face of fashion in the past, the future will change due to new technologies, resources, and tools. High-tech textiles will enable fashion designers to create new product lines including those that incorporate sun protection, and other unique qualities. New consumer demands and preferences may even have more to do with function than with fashion. The design process from design concept to final production takes many months. Researching current fashion trends and making predictions of future trends is the first step in creating the design. Some fashion designers do their own research while others depend on trend reports published by fashion industry trade groups. Trend reports let you know what styles, colours and fabrics will be popular for a certain season in the near future. Textile manufacturers use these trend reports to design fabrics and patterns while fashion designers begin to sketch designs. Designers then visit manufacturers or trade shows to get samples of fabrics and figure out which fabrics to use with which designs. A fashion designer takes part in just about every aspect of bringing fashion to the public. Creating the basic design can be done in different ways. It can involve storyboards with sketches, to working with a dummy and sewing pieces of material together. This creating phase is when the designer takes his/her vision that's swirling in the mind's eye and puts it into a visual expression. This first draft of the design is then worked on as the designer develops the first basic prototype. Computer-aided design (CAD) is being used more and more in the fashion design industry. Although most designers initially sketch designs by hand, a growing number take these hand sketches and put them on the computer. CAD allows designers to look at designs of clothing on virtual models, and in many colours and shapes, therefore saving time by needing fewer adjustments later. The fashion designer's next step is to take the rough sketch or model and develop a more specific working pattern. Usually, the designer will make a rough model of the design by creating a toile. This is made by sewing inexpensive material (like muslin) to make a rough model of the design. When this is placed on a mannequin-like dress stand, the designer can see how the material will drape or hang on a human form. Large design houses hire their own pattern-makers, tailors, and sewers who create the master patterns and sew the prototypes. Designers working in small design firms, or those new to the business, usually do most of the technical pattern-making and sewing tasks, in addition to designing the clothing. When the garment is complete, the designer will either modify, scrap or approve the design for showing in a collection. 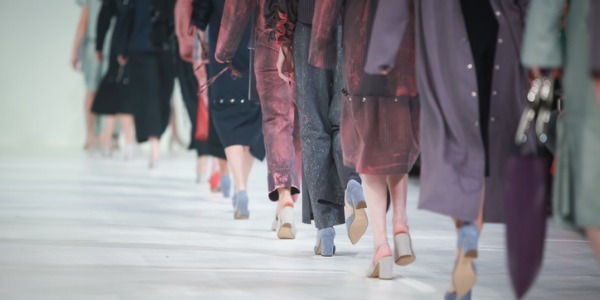 A fashion designer usually has full control of a fashion show, often picking the models, determining the price of each garment, and arranging how the garments will be presented. Most designers have assistants to help with all the many small details, but overall, the designer retains full control. Are you suited to be a fashion designer? Fashion designers have distinct personalities. They tend to be artistic individuals, which means they’re creative, intuitive, sensitive, articulate, and expressive. They are unstructured, original, nonconforming, and innovative. Some of them are also enterprising, meaning they’re adventurous, ambitious, assertive, extroverted, energetic, enthusiastic, confident, and optimistic. Does this sound like you? Take our free career test to find out if becoming a fashion designer is right for you. A fashion designer that works for wholesalers or manufacturers creates designs for the world market. These designs are manufactured in various sizes, colours and materials. A small number of high-fashion (haute couture) designers are self-employed. They create custom designs for individual clients, usually at very high prices. Other high-fashion designers sell their designs in their own stores or cater to specialty stores or high-end fashion department stores. These designers create a mixture of original garments and also established fashion trends. 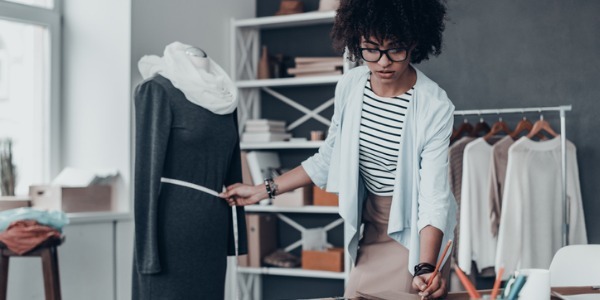 Fashion designers employed by manufacturing establishments, wholesalers, or design firms generally work regular hours in well-lighted and comfortable settings. Some fashion designers specialize in costume design for the performing arts, movies, and television productions. The work of costume designers is similar to other fashion designers, except they must extensively research the styles worn during the period in which the performance takes place. They may also work with directors to select and create certain attire. Costume fashion designers make sketches of designs, select fabric and other materials, and oversee the production of the costumes. They also must stay within the costume budget. Designers who freelance usually work on a contractual basis, or by the job. They often have to adjust their workday to suit their clients’ schedules and deadlines, meeting with the clients during evenings or weekends. Freelance designers tend to work longer hours and in smaller environments and are under constant pressure to please clients and to find new ones in order to have a steady income. Regardless of their work setting, all fashion designers occasionally work long hours to meet deadlines or get ready for fashion shows. The nature of the fashion business requires consistent communication with suppliers, manufacturers, and customers all over North America and the world. Many fashion designers travel several times a year to trade and fashion shows to learn about the latest fashion trends. Designers may also travel frequently to meet with fabric and material suppliers and manufacturers. In the past, designer clothing was way beyond the reach of the masses - it was considered haute couture, and designer collections were only seen on catwalks and clothing made-to-order for only a select few. The general public could only view these pieces of clothing either in fashion magazines or on TV when worn by movie stars on the red carpet. In the 1950's, prêt-a-porter clothing came into western fashion and proposed an alternative to haute couture for the general public. Prêt-a-porter (ready-to-wear) clothing provides the public with high-end clothing (a cross between haute couture and mass market) made in small quantities to guarantee exclusivity, but not made for individual clients. Ready-to-wear clothing is intended to be worn without significant alteration, and made in standard sizes that fit most people. Designers use standard patterns, factory equipment, and certain construction techniques that keep costs lower when compared to custom-sewn versions of the same item. Prêt-a-porter collections are usually presented by fashion designers and fashion houses twice a year during Fashion Week. These shows anticipate what the next year's trends and styles are going to be. Collections are typically grouped in spring/summer, fall/winter, resort, swim, and bridal. Prêt-a-porter clothing designers make this clothing with above-average attention given to fabric choice, cut, and detail - clothing that will warrant having the name of a famous designer or a famous brand attached to it. This type of clothing is rather expensive and generally designed with the upper middle class in mind, and can be found in certain stores that carry designer names and brands. An haute couture fashion designer is responsible for designing individualized, custom clothing for elite clientele. Clients are taken one at a time, and are given undivided attention. Designs are conceptualized and constructed according to a client's exact measurements, style, preferences, and personality. Each piece is made by hand from start to finish from expensive and high-quality fabric, and sewn with extreme attention to detail by the best seamstresses and embroiderers in the world. Considering the amount of time, money, and skill needed to complete each piece, haute couture garments typically have no price tag. Many haute couture fashion houses are in Paris, France. According to Wikipedia, "In France, the term haute couture is protected by law and is defined by the Chambre de commerce et d'industrie de Paris based in Paris. The chambre syndicale de la haute couture is defined as "the regulating commission that determines which fashion houses are eligible to be true haute couture houses". present a collection of at least fifty original designs to the public every fashion season (twice, in January and July of each year), of both day and evening garments." In the 1960s, a group of young designers left these established couture houses, opened their own establishments, and established their own lines. The most successful of these young designers were Yves Saint Laurent, Pierre Cardin, André Courrèges, Ted Lapidus, and Emanuel Ungaro. Although individualized, custom clothing for elite clientele is still going strong, today's haute couture fashion designs that are seen on runways are not particularly made to be sold or a main source of income. Rather, they are mostly for show and to further publicity, as well as perception and understanding, of brand image. This brand image adds allure to a designer's prêt-a-porter (ready-to-wear) clothing line and to related high-end products such as shoes, purses, and perfumes. Years ago, fashion design houses began offering more modestly priced collections (diffusion lines) as a way to reach more consumers (for example, Dolce & Gabbana founded D&G). However, these diffusion lines didn't completely fill the void that consumers were asking for - namely, the mass marketing and distribution of high fashion. In 2004, Chanel and Fendi's creative director, Karl Lagerfeld, collaborated with H&M and produced 30 pieces which sold out within an hour in New York, Los Angeles, and other large metropolitan stores. This sparked H&M to collaborate with many other designers in order to gain market share of teen spending. Target followed H&M’s lead with its own designer collaborations. Other department stores (such as JC Penny, Kohl's, and Walmart) weren't far behind and started following the same path. Mass market clothing is manufactured in large quantities and made available for the open market. This clothing is typically available in standard sizes with many copies of the same design. As there is a large demand for this type of apparel, becoming a mass market fashion designer is the most rewarding at the moment. Many fashion designers are flocking to create lines of clothing and accessories for the mass market. "There is a tremendous amount of money being spent on fashion apparel, but not in department stores," says Kurt Barnard, president of Barnard's Retail Consulting Group in Upper Montclair, N.J. "Designers have decided to go to where the money is, and the money is at places like Target and Kohl's."